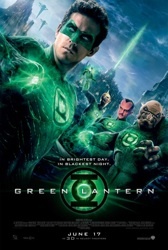 Patrick is joined again by Mike and Adam to discuss just how the makers of Green Lantern got Adam's favorite superhero ever all wrong. Listening to Adam slowly become increasingly disheartened is something magical I think we can all relate to (even if we'd rather not). He still refers to that as the time we talked him out of liking a movie. Ha! Well, it's really his fault for liking it in the first place, right? Firstly, the comic doesn’t adequately explain what exactly is happening between Kyle and Hal Jordan. Secondly, the battle is awesome, but it isn’t as emotionally charged as many of the great wars of this series. It’s cool seeing the Green Lanterns fight Zod, but they aren’t old enemies. Robert Venditti tries to establish some animosity by having Zod blame the Green Lanterns for letting Krypton die, but it doesn’t quite connect. cirujano plastico cirujano plasticoThirdly, it is a little awkward watching a super-powered police force unload on an indigenous population armed only with spears while that indigenous people worships a white family like gods. This remains unacknowledged by the comic, and we’re supposed to take Space Ape attacking the people of Jekuul as yet another “hell yeah” moment. This is the most troubling part of the comic, needless to say.